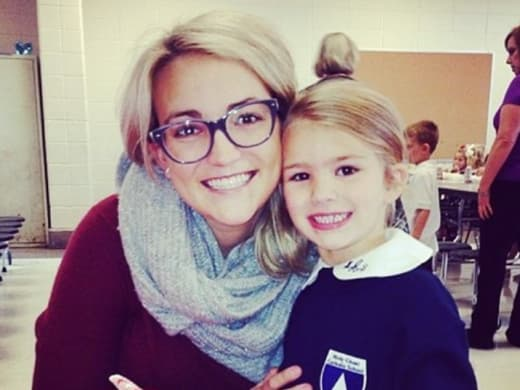 Back in April, Jamie Lynn Spears welcomed her new baby girl! The sweet little newborn’s name is Ivey Joan. 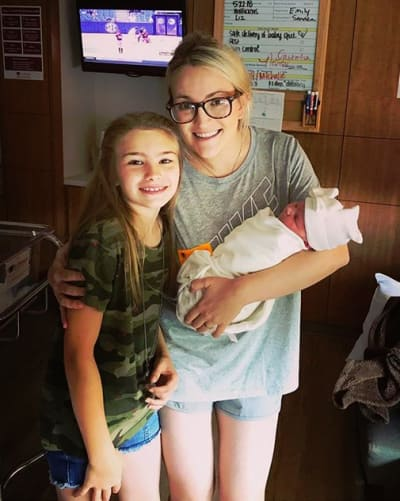 Now, Jamie Lynn has shared a photo from a family outing — including precious baby Ivey. The best part is that everyone is dressed up in matching outfits! Take a look. Do you follow sports much? Jamie Lynn and her family sure do. More than that — Maddie plays. The photo that you’re about to see isn’t the first time that we’ve seen them all dressed up in sports uniforms on a family outing. But it is the first time that the adorable Ivey Joan has gotten to take part in that family tradition. The results are absolutely adorable. Pictured are her husband, Jamie Watson, her daughter, Maddie Aldridge, and her sweet little baby, Ivey Joan. They’re all dressed up in team swag for a team called the Louisiana Swarms. The family went to cheer on Maddie as she played baseball. In this gif, made from a video that Jamie Lynn shared, Maddie successfully strikes the ball with the bat and then runs, as one is supposed to do in baseball. Not only does she make it to first base but, as you can see, she goes to second base and then third base, capitalizing on the opposing team’s inability to halt her progress. Though she plays it safe at the end rather than trying to run for home plate and complete the rhombus, that is a tremendous amount of progress to make so quickly. This family deserves its happiness. 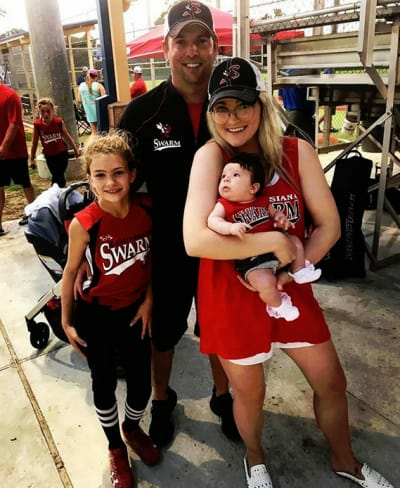 Back in February, Jamie Lynn marked the anniversary of her daughter’s seemingly miraculous recovery. 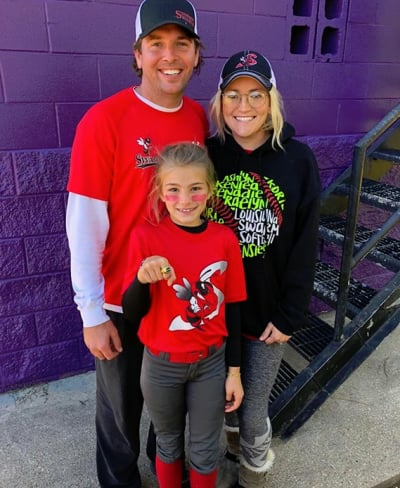 A year earlier, in February of 2017, Maddie was injured in an ATV accident. The ATV flipped over, trapping her beneath it in a pond. Maddie was unable to breathe for an alarming amount of time. But children are notably resilient to brain trauma that would prove fatal or life-altering to adults. Maddie was able to spring back, even participating in Valentine’s Day with her classmates. It was adorable … and such a relief. Everyone is so pleased that Maddie recovered and is such a success story. Can we talk about Jamie Lynn’s post-baby body, by the way? We know that she’s young and hot — her big sister is Britney Freaking Spears, after all. But pregnancy can radically transform a person’s body in ways that can linger for months or years after childbirth. As much as we are impressed by Maddie’s athleticism and as much as we adore Ivey Joan, we think that Jamie Lynn deserves kudos for bouncing back the way that she has. Next story Scott Disick: Will He Fall Off the Wagon Following Sofia Richie Split? Previous story Eva Marcille to Join Real Housewives of Atlanta Cast!